Performing a few shoulder stretches and exercises two to three times per week can significantly reduce the pain that may occur when throwing a softball. For the last few years, I’ve played city league slow-pitch softball. I grew up playing baseball, and softball can be a fun way to keep physically active and to be still part of a team. However, many adults who play softball struggle with shoulder pain when they throw. The shoulder is a complex part of the body, and throwing a ball overhand requires good shoulder flexibility, strength, and control. There can be many reasons for shoulder pain with throwing, but often it is due to poor shoulder joint or shoulder-blade mobility or control. For a lot of people, simply performing a few shoulder stretches and exercises two to three times per week can significantly reduce their pain. This stretch helps address the common problem of tightness in the posterior shoulder. Hold for 20-30 seconds, 2-3 times. 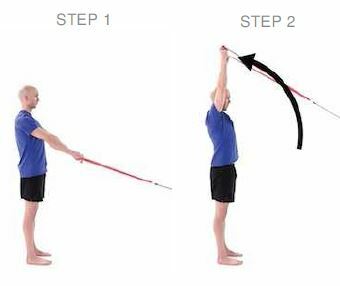 This stretch helps improve limited shoulder internal rotation. 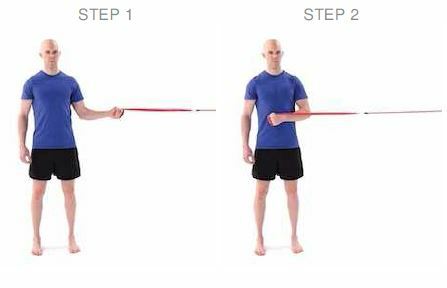 Resisted internal and external rotation are simple exercises to help build rotator cuff strength and stamina. Perform 15-20 repetitions, 2-3 times each. Resisted shoulder extension is an exercise proven to help strengthen the muscles that control the shoulder blade. Hold each repetition for 3-5 seconds, and perform 5-10 repetitions. Repeat for 2-3 sets. Resisted scaption is also a great exercise that helps build the stamina to repetitively raise your arm overhead. Hold each repetition for 3-5 seconds, and perform 5-10 repetitions, repeat for 2-3 sets. 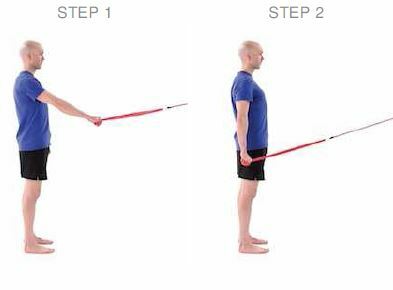 If you have pain with any of these stretches or exercises, or they are not effective in reducing your shoulder pain, you may benefit from a full examination by your primary care provider or a physical therapist. 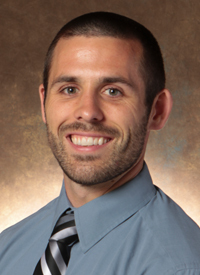 Paul Jaques (Jake-wiss), DPT, is a Licensed Physical Therapist and a Certified Strength and Conditioning Specialist with The Corvallis Clinic Physical Therapy Department at its Walnut Boulevard-Corvallis location. Paul enjoys treating many different conditions, but he has a particular interest in sports medicine. He has provided medical tent assistance at several local events, such as the Mudslinger Mountain Bike Race, the Fall Festival 5K run, and The Dirty Dash in Albany. To schedule an appointment, call 541-754-1265; to request an appointment online, go to New Patient Appointment Request.